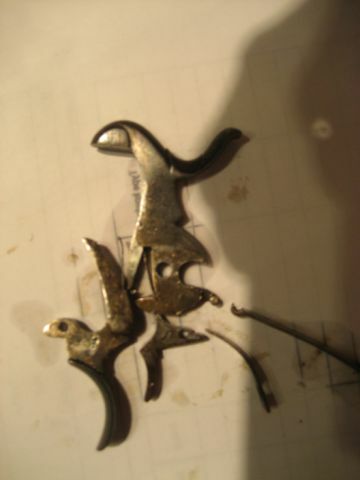 Here are a few not so good pictures, but interesting. 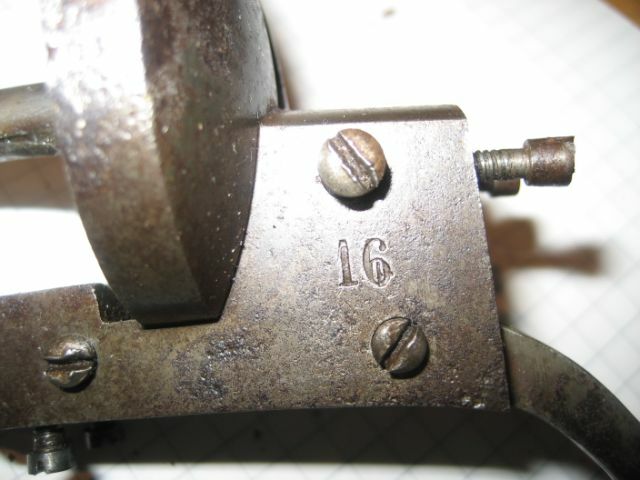 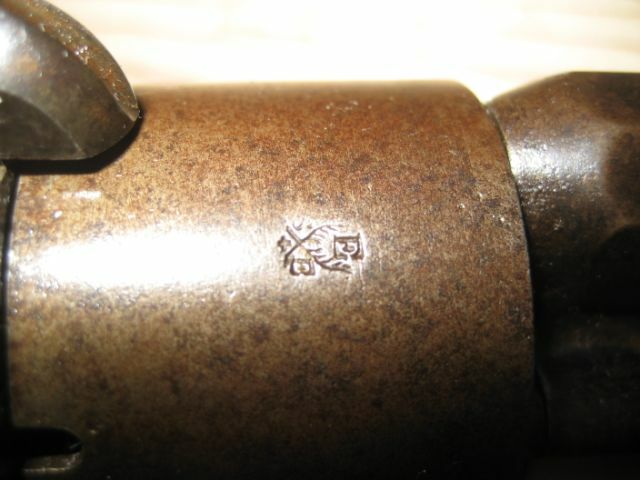 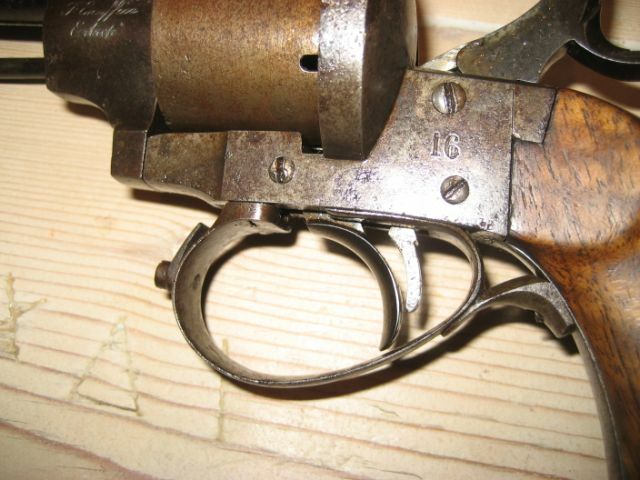 A new identified on the French guns. 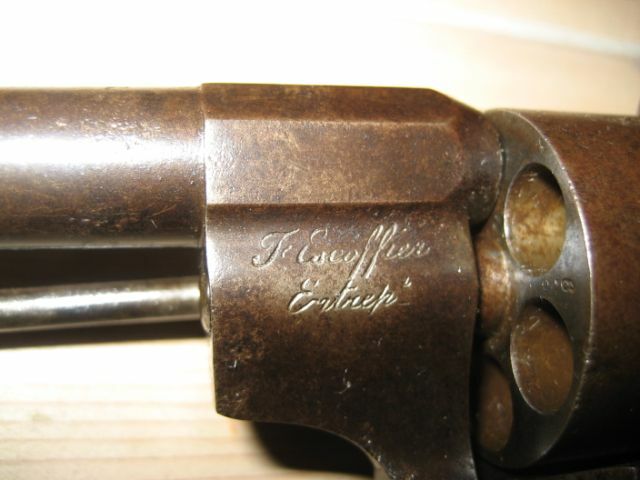 Director of the civilian part of the St Etienne Felix Escoffier made some “Lefaucheux” arms of his own. 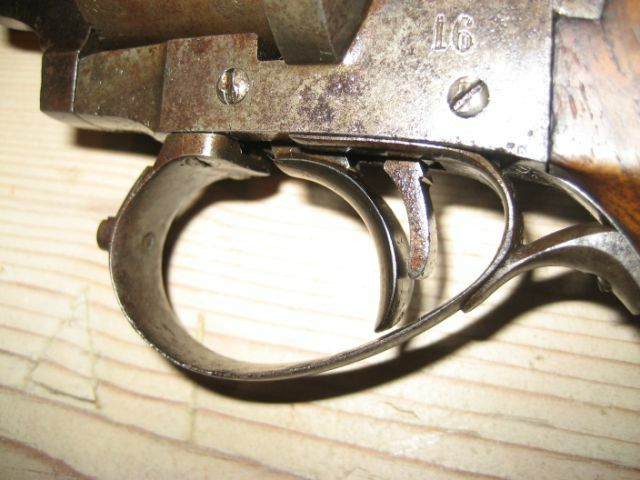 A triple action patent with 2 triggers. 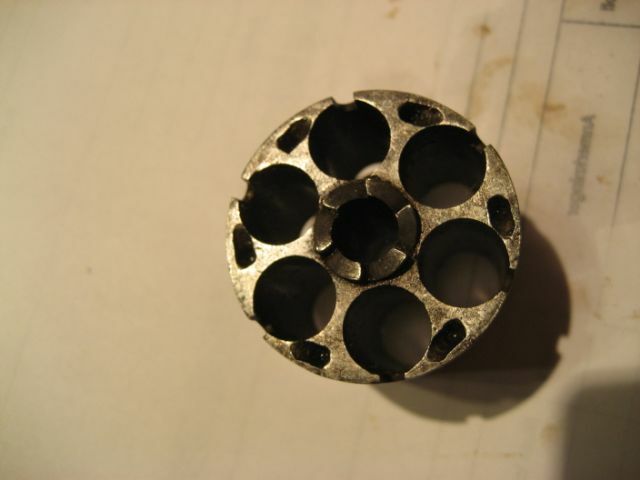 Yes, it is a system very close, if not identical, of that of the Javelle. 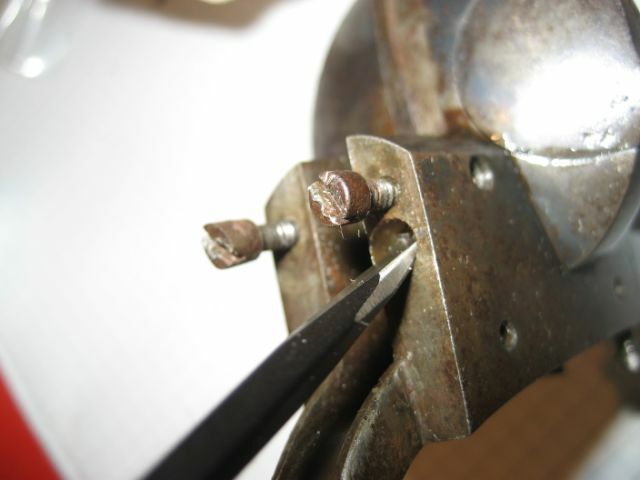 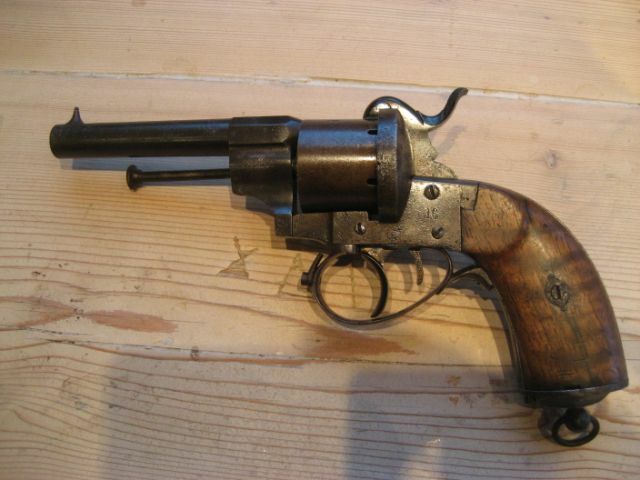 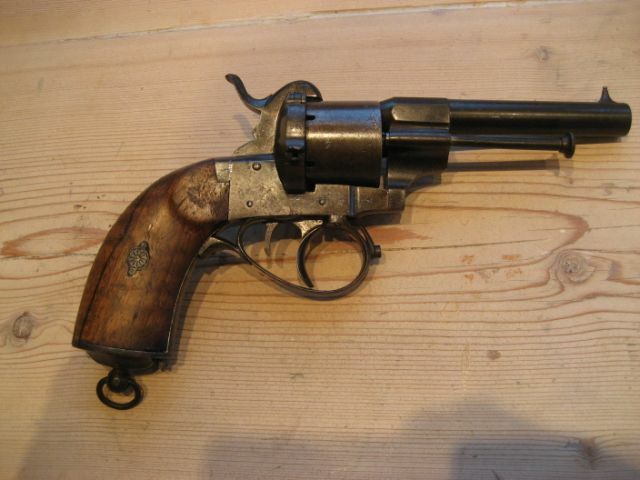 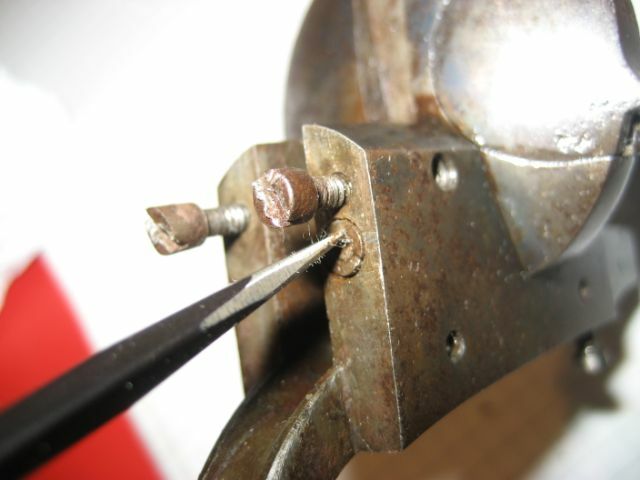 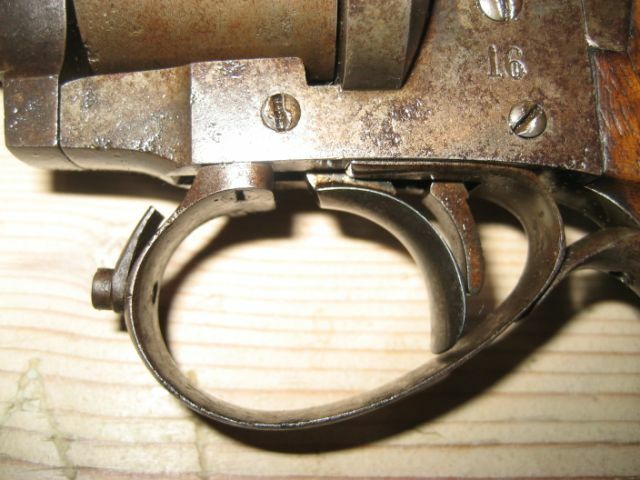 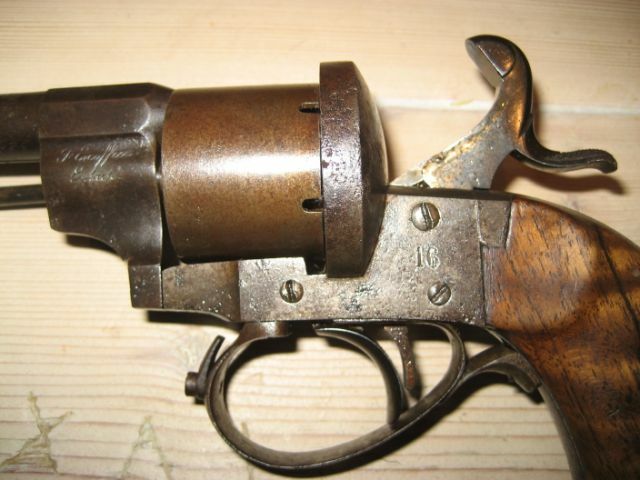 Moreover, on the photographs which Paul sent to you, with a “model 1858” with 2 triggers, one sees very well the return spring of trigger fixed in front of the trigger guard as on the Javelle (and which here, oneself says while passing, is broken). 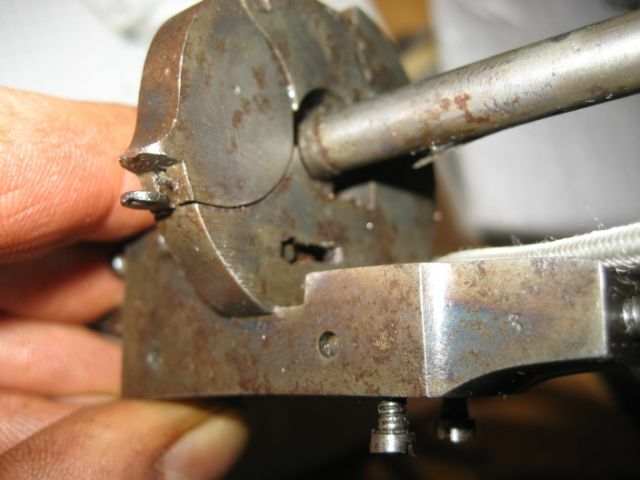 On the other, it is the system of opening of the frame which is an innovation and which allows an inspection of the mechanism without much disassembling. 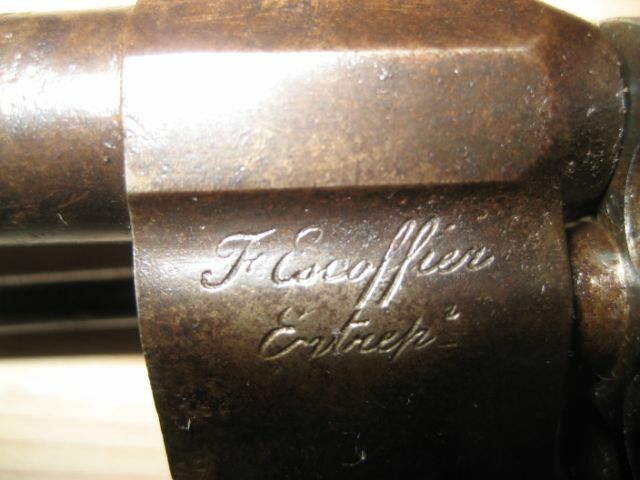 “Escoffier Entrepreneur” is truer than “Escoffier Inventeur”. 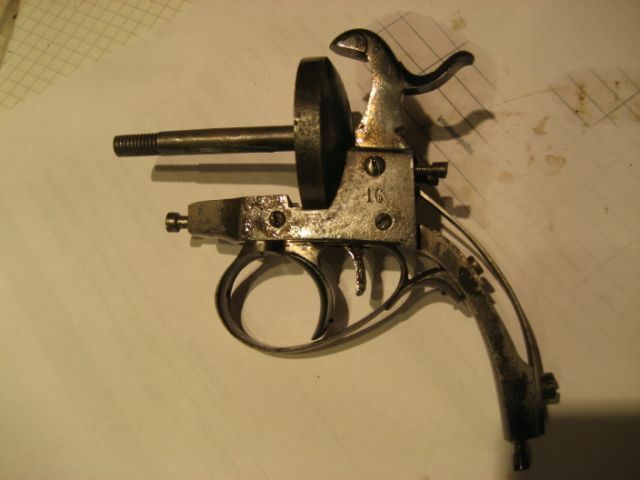 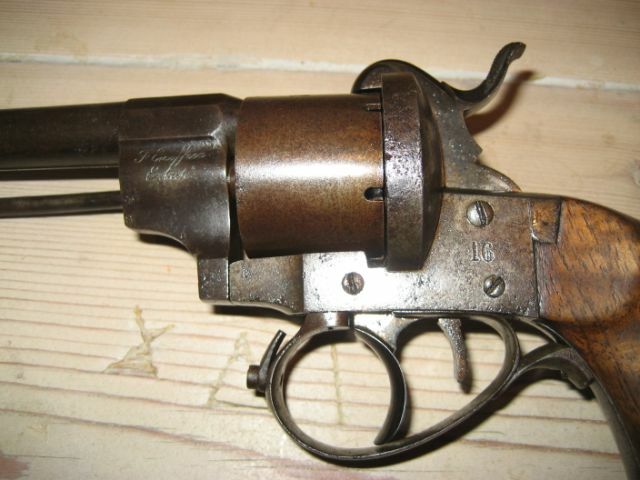 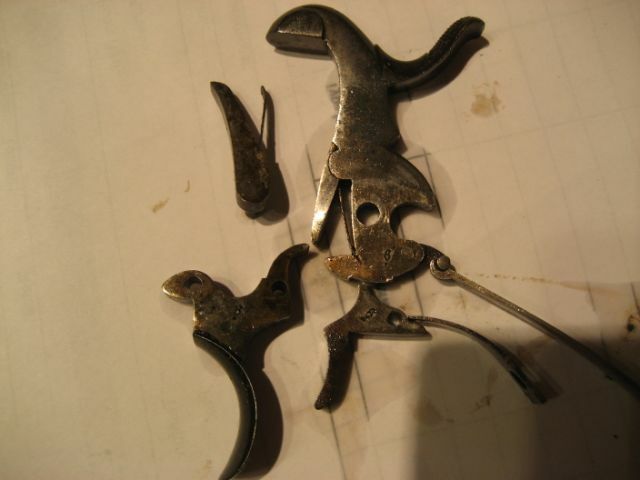 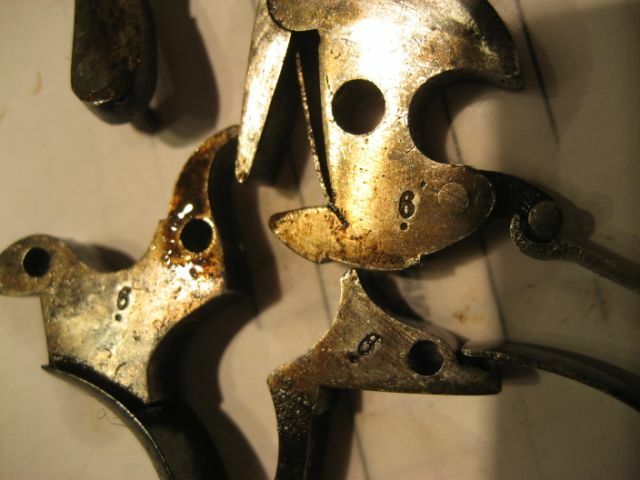 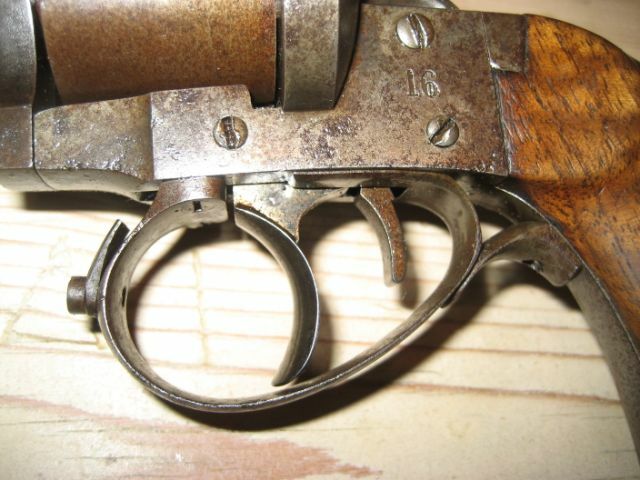 I remind to you that this type of mechanism is also found in the revolvers St-Etienne 1873 and 1874, Rast Gasser, Merwin&Hulbert Double Action Folding Spur, the Javelle, Beaumont-Adams, Iver Johnson and other Hopkins&Allen suicide special, and Lefaucheux of the 2nd type with square grips, with more or less of ornaments according to the degree of luxury of the weapon. 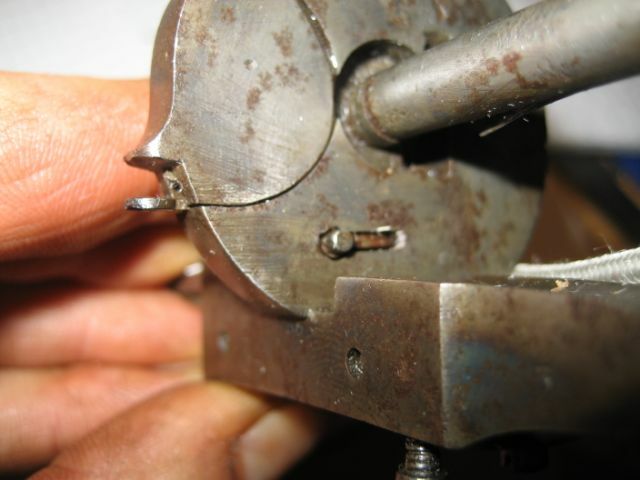 It allows however triples action only with one very involved index.